The past couple of months have been so crazy, I just realized that I totally dropped the ball with doing monthly baby updates here on the blog. Opps! While I realize it doesn’t really matter, I know a bunch of you have shared that you enjoy reading them. And ultimately, the updates I share here are mostly for me so I can capture this moment in time and remember this stage. Because like everyone says, time really seems to go by quickly with a baby! I did purchase this adorable Kate Spade baby book shortly after June was born. So that way if I miss doing a monthly update here on the blog, I have it written down, old school, scrapbook style. And I love that. Each day, her little (or sometimes big hah!) comes out more and more. She likes to smile at everyone but won’t let strangers touch her. She hasn’t figured out how to sit up on her own yet but likes to sit in that position. Around 4-5 months she was rolling like crazy and now she doesn’t move much on the floor. She’s pretty content to lay on her back or tummy and just chew on a toy. 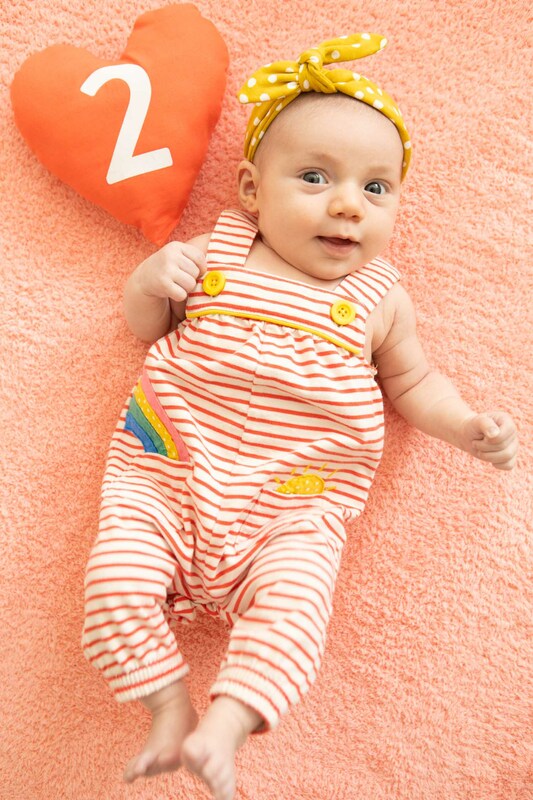 While I’m not one to obsess over baby monthly milestones, I was a bit concerned that she wasn’t crawling or sitting like her Mommy and Me class classmates (hah!). But it just seems to be her temperament. And what movement isn’t happening she’s made up for in talking. This little one babbles and now squeals loudly all day long. I’m not superstitious but I feel like I might jinx it by saying she’s still sleeping though the night. Since 8 weeks old! And no, it’s absolutely nothing we’ve done (because we are clueless first-time parents) it’s just her temperament. And I think sucking her thumb and being able to soothe herself is a huge part of it. She loves food (like her mama) and we’re now doing one meal a day. Her favorites so far: anything sweet (like her mama), Cuban black beans, and salmon sashimi. Again, this is a girl after my own heart. We’re still breastfeeding too and I’m planning on weaning around her first birthday. But it’s just so darn convenient to nurse when you’re out and about and sooooo messy to feed her real food. The struggle (for cleanliness) is real! She smiles every time we say “pony” and my dad is convinced that will be her first word. She loves to pet Daisy and grab her long hound dog ears. She also enjoys being out at the barn and touching Justin’s long coat. 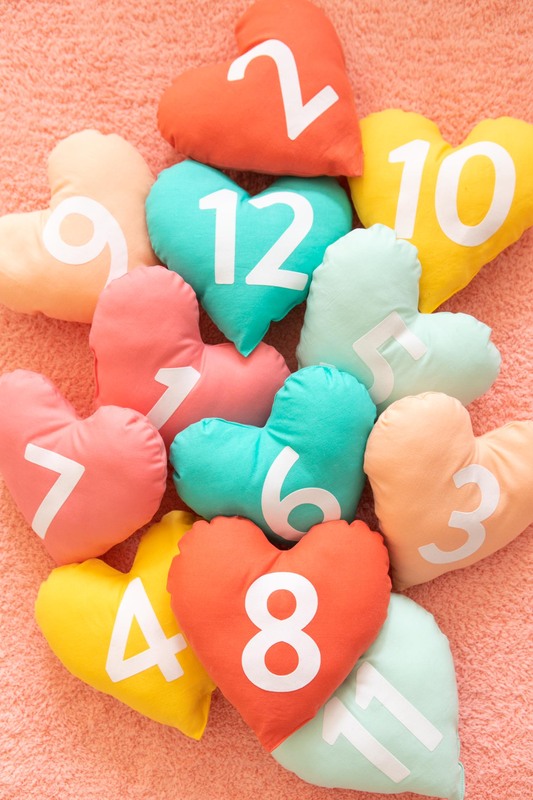 I made the monthly heart shaped number pillow that’s in the photos above. There’s a template and tutoiral too if you’d like to make your own for your baby.